Security systems do much more than detecting an intruder. Safe Systems, Inc. combines technology with expertise to answer all kinds of security needs. We help customers protect valuable items in their home by adding alarm sensors to specific areas of concern. These sensors work with your home security system. 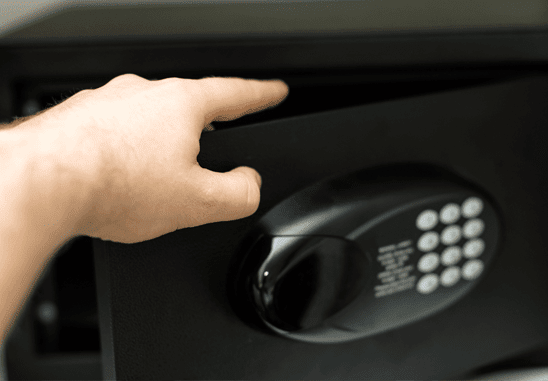 For example, an owner of a gun safe could receive text alerts whenever the door is open. The sensor is tamper resistant. The act of attempting to remove it would typically send a signal. This information can provide critical information before a security event. Investing in a home security system provides a foundation to expand the protection of your home. The alarm panel acts as the central control point. When you add monitoring from Safe Systems, the installed alarm becomes very adaptable. System expansion is a critical feature that separates Safe Systems from a do-it-yourself solution. We can grow the system to meet your changing needs. Working with Safe Systems has some added benefits. We assist thousands of home and business customers. We are called upon to solve some very demanding security applications. Safe Systems installs more than just parts; we add smarts with reliable service. There are several types of indoor/outdoor wireless sensors available. The uses are virtually unlimited. If there is an area of concern in your home or business you would like to protect, call us at 1.800.446.7519. Our security evaluations are always free. We can determine what alarm solution will best fit your needs.